The 2018 iPad Pro‘s perceived bending issue is one that doesn’t appear to be going away, although Apple has perhaps not done the best of jobs trying to allay the fears of its customers. The company has simply said that it believes all iPads Pro tablets are within tolerance, and that there is no issue. Any bends are apparently caused by the way these new tablets are being built, according to Apple. The company has now gone a step further than simply saying it, though, with a new support article appearing online to explain just how the iPad Pro is built. The article again reiterates that there may be a bend, but that it will be within a 400 micron tolerance. Anything beyond that would qualify for a warranty replacement, according to Apple. It also appears that the cellular iPad Pro is particularly susceptible to bending issues, and if we’re reading Apple’s article correctly, it appears the way such iPads are bonded could cause a slight bend. For the first time ever on an iPad, these bands are manufactured using a process called co-molding. In this high-temperature process, plastic is injected into precisely milled channels in the aluminum enclosure where it bonds to micro-pores in the aluminum surface. After the plastic cools, the entire enclosure is finished with a precision CNC machining operation, yielding a seamless integration of plastic and aluminum into a single, strong enclosure. Apple notes that its tolerances are even tighter on the new iPads than they were on those from previous years, and that anyone with a tablet that they feel is outside the 400 micron boundary should contact Apple Support for assistance. 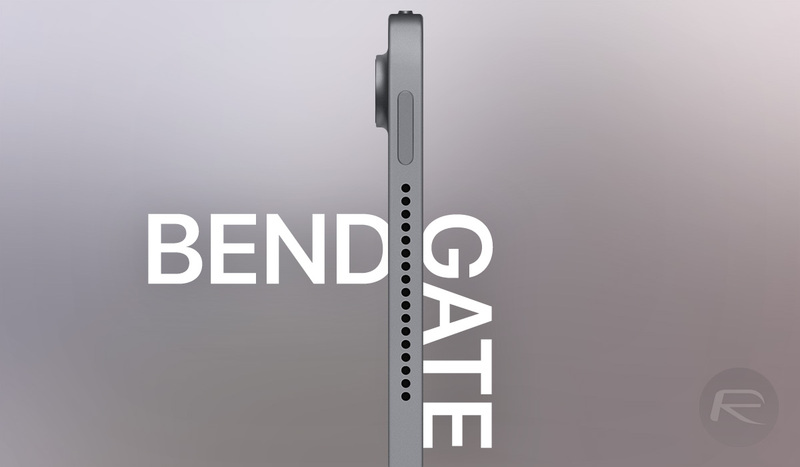 Sorry Apple I buy your products and will continue to do so but you’re wrong here.. the device should not bend…ever. Either the metal is under too much stress or it’s simply warping. Fix it. Wrong about what? They are saying the iPad should be flat within 400 microns. That’s 0.015748 of an inch. Not even viewable by the human eye. They further say that anything more than that should be fixed by Apple.